Welcome to the official Bondi Beach Astra blog, detailing events and activities that have been happening this year at the Astra. Read about our day trips, festive occasions and open days...you heard it here first! 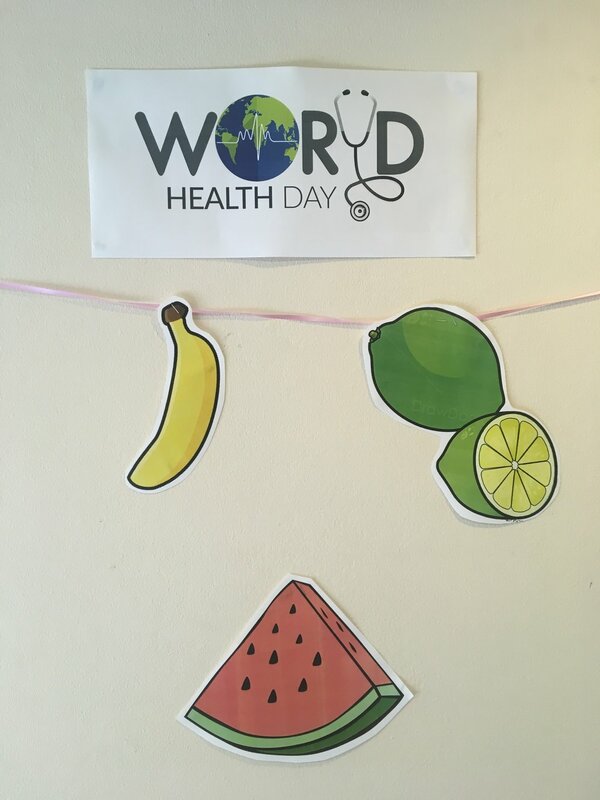 7th April was World Health Day, and in recognition of this we held a healthy morning tea here at the Astra. 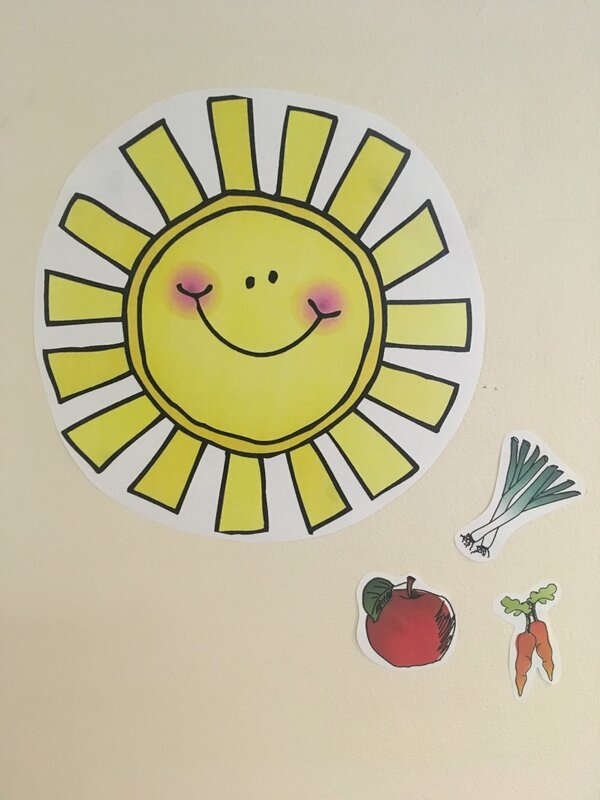 Natasha from the local pharmacy came to talk to us about nutrition and healthy ageing, as well as giving us some really interesting information about Webster-paks. The talks were helpful and informative and everyone who attended had something positive to say about the morning. We had platters laden with fruit and veggies and nuts, so even the most health-conscious among us couldn’t complain about the nutritional benefit of the snacks on offer. I’ve no doubt this has inspired more than a few of us to do a little bit more exercise, eat a little bit healthier, and take the right number of vitamins in the right way. Thanks to Natasha, and to everyone who came along, for sharing ideas and tips for healthier living. Definitely food for thought. Yesterday we had a wine tasting afternoon, in recognition of International Wine and Cheese Day on Monday. It was a great success. We welcomed Goran from Regional Wines of the World to the Astra at 2:30pm. He gave us a tasting notes sheet that we could use to keep a record of which wines we liked best. Some of the group were more experienced with tastings, and so asked lots of questions about region, grape variety and vintage. The rest of us were content to taste and decide what we liked and what we didn’t. Aaron and I organised a couple of cheese platters to go with the wine, so we contentedly munched on cheese and crackers as we worked our way from dry whites to sweet reds, rose and sherry. Some of the group don’t drink wine, but they were happy to get involved and chat with us over a cup of Coke! Poor Goran had to try hard to get our attention more than a few times, as he moved on to the next wine! The wines he brought were from all over the world, and were a little different to those you would normally buy in the shops. As a result, it was an experience we all enjoyed and were happy to share with our friends and neighbours. A few of us might have even bought a bottle or two at the end, which I’m sure made Goran happy too! Thanks to everyone who came and made it such a fun afternoon. Last week was NSW Seniors’ Week, and there were plenty of events on all over the city. Waverley Council held a number of talks, performances and activities in our area. 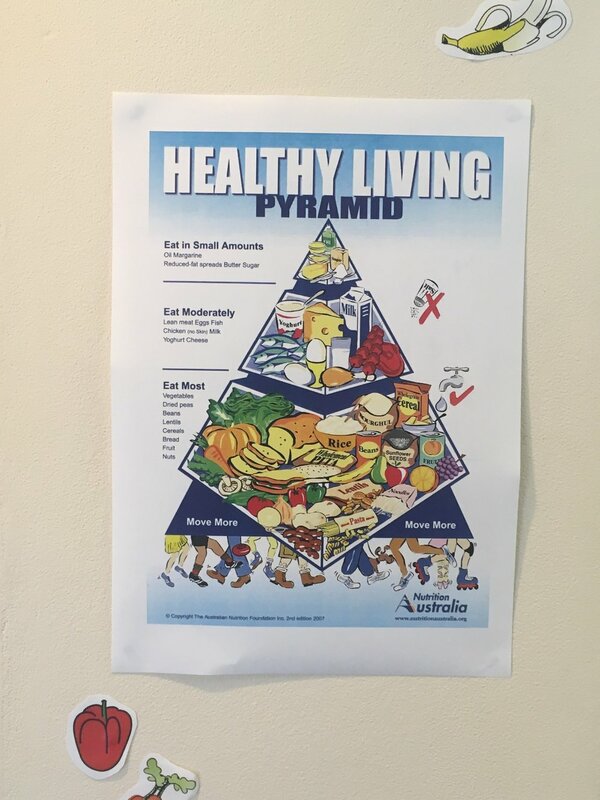 Residents of the Astra were encouraged to go to the event ‘Being Healthy’. There were talks and question and answer sessions from local experts on ‘Macular degeneration and other vision conditions’, ‘Osteoporosis and bone health’ and the ‘Importance of exercise and relaxation’. Those that went said the talks were interesting and that the Council provided a nice morning tea. This month we continued with our technology workshops by discussing how to create documents of all sorts. We first looked at word processing documents like Microsoft Word, Apple Pages and Google Docs, and Aaron showed everyone how to make and edit a Word document. Next we looked at making spreadsheets in Microsoft Excel, Apple Numbers and Google Sheets, and we played around with making a budget in Excel. Finally, we examined the programs available to make presentations, such as Microsoft PowerPoint, Apple Keynote and Google Slides, and began to format our own PowerPoint presentation. Everyone learned a lot from this session, including Aaron and Anna who were presenting!! There were handouts to choose from at the end, and just time enough for a cup of tea and a biscuit before lunch. It was lovely to see so many people there, even though it was a cold, wet and miserable day outside. If you missed the last few workshops, please do still consider coming along to one in the future - we will continue once a month to discuss a different topic and to answer any questions you have relating to your devices. The workshops are free and open to anyone over 55, so do watch out for upcoming events. We are running these sessions in conjunction with the Be Connected government initiative (see their website for more information and for lots of helpful tutorials). What an event this was! Lots of residents and friends turned up to see some recently-released footage of Bondi circa 1926, as well as the iconic Australian tale 'Summer of the Seventeenth Doll'. The lounge room was full of excited chatter and the wafting scent of popcorn as we settled down to an afternoon of movie magic. Beautiful Bondi is a silent movie showing aspects of Bondi and the surrounding beaches from the 1920s. The swimming costumes, hairdos and fishing suits (the full suit, hat and pipe whilst fishing caused more than a few laughs!) were wonderful, and the footage of the Astra (then the Hotel International) being built was really interesting. Amazing to see the foundations of the building we live and work in being constructed, and an artist's impression of what it would look like when it was finished! The main event of the day was a classic movie based on the play by Ray Lawler about two sugarcane cutters who come south to visit their girlfriends in the off season each year. Roo brings with him a Kewpie Doll for Olive, which makes it her 17th doll. This summer, however, is destined to be different from the others - Olive's friend has got married and things just aren't the same. The two male characters, Roo and Barney, have also had a falling out about work. The movie had a nice feel to it, although the plot differed from the play in places. 'Summer of the Seventeenth Doll' is a pioneering Australian play written by Ray Lawler, first performed in November 1955. The play is almost unanimously considered by scholars of literature to be the most historically significant in Australian theatre history, openly and authentically portraying distinctly Australian life and characters. It was one of the first truly naturalistic Australian theatre productions. Great fun was had by all watching the drama unfold. In places it was very funny, and this contrasted with the serious themes of lost youth and evolving passions. I enjoyed the feel of the movie, and it was lovely to see footage of Bondi and the Sydney harbour. Some scenes were filmed at the Astra, and it was interesting to see the inside of what would have been a very grand hotel. We wrapped up our afternoon with some tea and cake, and chatted about the images we had just seen. Thanks to Aaron for finding the movie, and I hope we can have some similar events soon. This month we had our first technology workshop on the important issue of cyber security and safety measures to take when using computers, phones and tablets. We are running these sessions in conjunction with the Be Connected government initiative (see their website for more information and helpful tutorials). The workshop was well attended and was a definite success. We began with a video on what to watch out for with viruses, scams, spam and other aspects of security (click here to watch it for yourself). We then talked about what makes a secure password, what to look for when using a website, different types of anti-virus software, and how to avoid viruses, scams and spam. We had plenty of time for questions and comments as we went along, and everyone got involved with the discussions. Afterwards, Aaron and I were on hand to help with individual issues on the attendees' personal devices. For a first session it went excellently, and we are now well on our way to getting the thirty signups that we need to get our grant to invest in some new communal computers. We will continue to have sessions once a month for the rest of the year, so watch out for upcoming events. The workshops are free and open to anyone over 55. 8:30am: Aaron arrives at the Astra bright and early to start his day at the Bondi Beach Astra. He opens up the office, switches the lights on above the lift and the seahorse statue, and opens the downstairs windows and doors to let the sea breeze flow through the ground floor. 9am: The office officially opens and Aaron, having gone through the important emails for the day, greets residents as they go out for their morning walk/swim. One resident comes down to ask Aaron for help with sending some pictures to a friend from her phone, another needs some printing done. 9:30am: There is a momentary lull, so Aaron takes advantage of this to conduct his first walk round of the week. Checking that everything is ok in the building after the weekend is all in a Monday's work - making sure the lights are all working, toilet rolls are in plentiful supply and there isn't too much mess anywhere. As this is the start of another month, 'The Senior' newspapers have arrived, and Aaron leaves a pile on each floor for residents to flick through. 10am: Back to the office and time to reply to the rest of the emails that have been piling up over the weekend. 11am: Some prospective residents arrive for a showround of the building. Aaron takes them through the available units and into the common areas, answering questions along the way. Towards the end, he shows them artist's impressions of the renovations that we are hoping to start this year in the communal spaces. We are all excited for a new and refreshed Astra... While this is happening, a call comes through that the NBN engineers are here to do some work on connecting up the Astra to the new network. Aaron takes them to where they need to be. 12pm: A number of new notices need to be put up for the week, advertising bingo and a movie night. Once designed and printed, Aaron goes round each of the three notice boards and adds them to the mix. Any out-of-date notices are removed. 12:30pm: It is a constant battle in the office to keep plants alive! The ones in the foyer area do not get as much light or air as they should, but Aaron continues to water them dutifully. The plants in the courtyard area fair better, and also need to be given a drink after the weekend. After the plants have had some food, Aaron can take some time to have his own lunch before the afternoon tasks get into full swing. 1pm: Aaron has collated forms for the residents for the week ordering meals from next door Trattoria. By 1pm he needs to take this information round to the Tratt so that they can be prepared. 1:15pm: The building Maintenance Manager, Nick, comes by to fit window locks in the building that are required by new regulations. He needs access to some of the units and Aaron has to liaise with the residents to make sure they are able to let him in. 2pm: Aaron checks the mail. Throughout the day he has had a number of parcels delivered by couriers for various residents, but now he is checking the main Australia Post delivery. Some residents are away at the moment, so he checks the notice on the office whiteboard so he knows whose mail to pick up. Some residents like their mail to be put out for them before they get back, others will pick it up when they are next in the office. 2:30pm: More emails have come through, some with news about the Retirement Village industry. 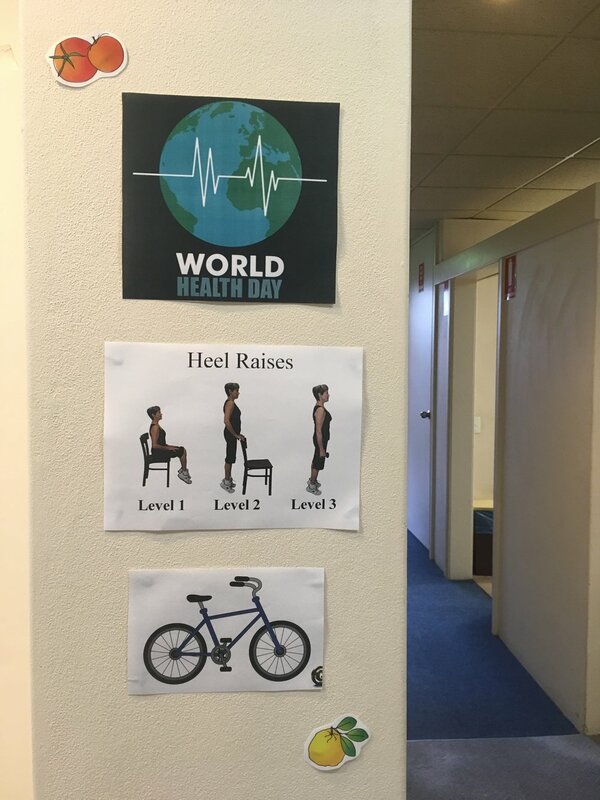 Aaron likes to keep up-to-date with what is going on in the aged care sector, and especially in the local area. It is always good to know about changes to the industry, and to have awareness of the competition! 3:30pm: A new resident is moving in today and she comes by to collect keys and ask questions about the village. Aaron gives her a tour of the major areas of note; the lounge room, pool and gym area, garbage rooms, courtyard and so on. It's always lovely to welcome to new people to the Astra, and we love to show off our wonderful, friendly Village. 4pm: The cleaner arrives and Aaron has to ask him to make sure he has cleaned certain areas that have got dirty over the weekend. The residents like to keep us informed about the state of the building, and it is helpful for us to have the perspective of someone who is living here all the time. 4:15pm: As it is the start of the month, the monthly newsletter is due. The comparative quiet of the final 45mins gives Aaron enough time to start writing some articles and compiling photos for this edition. It will get printed, folded and put into everyone's letterboxes tomorrow, so anyone who wants to can follow what's going on at the Astra in the coming month. 5pm: It's home time! When things have been happening constantly throughout the day, 5 o'clock can come around pretty quickly. 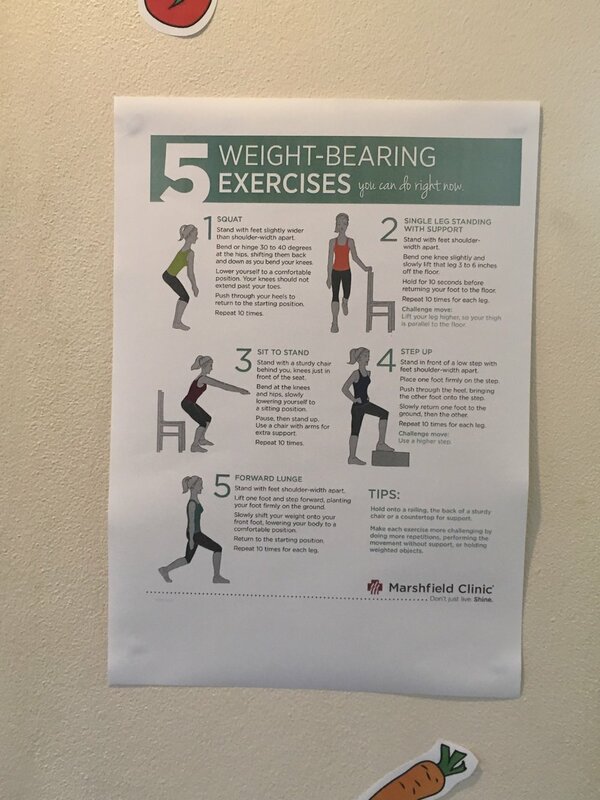 Closing the office up is as simple as turning out the lights, closing the windows and locking the doors...that is, if you don't get a last-minute straggler come down to ask you something right on 5! It's all part of the service though and Aaron, being the consummate professional that he is, is happy to help whenever he's needed. Roll on tomorrow...! Another fantastic Retirement Villages Expo was held this weekend at the Novotel in Brighton-le-sands, this time specifically for Eastern Suburbs and Southern Sydney villages. It was a great event in a lovely location, and many people came throughout the day to ask questions and express interest. Aaron did an excellent job chatting and helping with queries, and said afterwards that it had been a really good day. This time we had more posters with pictures of the Astra common areas, as well as artist's impressions of what the refurbished areas might look like in the next couple of years. It's going to be a really exciting time for us in the near future, and it was great to be able to share this vision with prospective residents. The Astra had its first Retirement Villages Expo experience this weekend at the Epping Club! By all accounts it was a great event that allowed us to show off our wonderful village and answer the questions that people from all over Sydney had come to ask. Although the rain on Sunday might have put some people off, it was still a busy and productive couple of days. In the quieter periods, Aaron was able to fit in some competitor research and to look at the different marketing ideas that other villages had come with. Next time, we will be able to do even bigger and better things with our stall! If you weren't able to make it to Epping this time, why not come to the Novotel at Brighton-le-sands on 19th November and see us at the Eastern Suburbs and Southern Sydney Expo. We will have plenty of info, lollies and pics and we'd love to see you there. 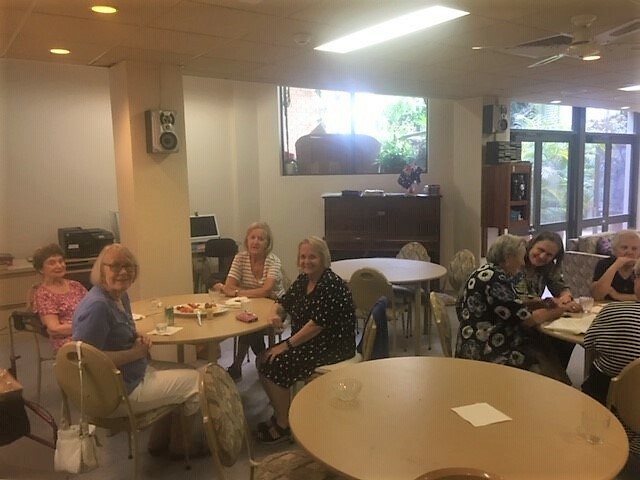 On the afternoon of 19th October, Astra residents were joined by representatives from the Eastern Suburbs Private Hospital for an afternoon tea in the lounge. Lucinda and Alexandra came to discuss the range of options available to residents through the hospital, including rehabilitation, therapies, falls prevention and pain management. The information was well-received and a good time was had by all. Everyone was given their own personal stress-relieving device (also known as a stress ball!) 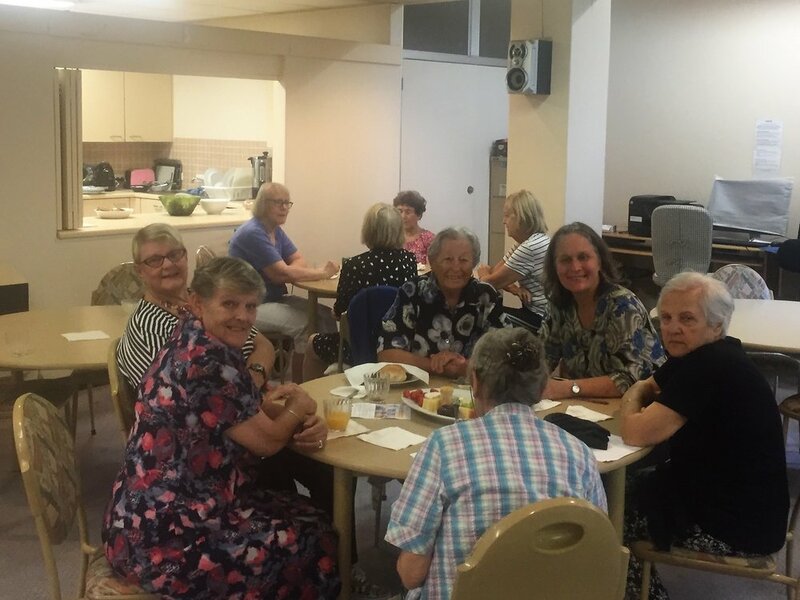 and the Eastern Suburbs ladies answered questions and gave out information on a wide range of topics. Thanks ladies!